Friday Foodie: Diana Tencic + her recipe for low sugar baked beans. This week I am featuring Diana Tencic from Body Be Well. 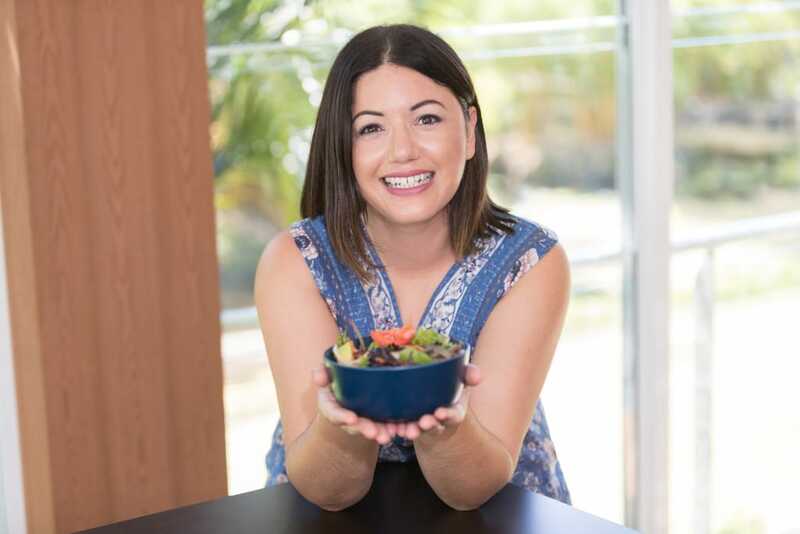 Diana helps others with their fitness and nutrition goals, but instead of offering a one size fits all approach, she tailors her programs to suit each and every person’s lifestyle and individual goals. How amazing is that!! I hope you enjoy my interview with Diana. First and foremost I am a mother to 3 wonderful little people Ty aged 9 Lexi aged 6 and Sasha aged 4. They keep me motivated and are a constant reminder to be the best version of me. Along with my partner Ross Andrews we own Body Be Well where we encompass expertise in food and fitness to deliver powerful long lasting results for our clients. I have been in the fitness industry for over 17 years, Ross over 20. We love our work and love sharing our knowledge with our community. I suffered from ulcerative colitis due to environmental factors i.e. STRESS so had to make huge changes in my life. That was 20 years ago and I am now in remission. What inspired you to start Body Be Well? We wanted to create a fitness and food company that people could trust . We were frustrated by clients bringing us pictures of 20 year old girls posting selfies with ribs and abs sticking out, with their prime focus being on skinniness rather that wellness. One of the biggest fitness accounts on Instagram misleads her whole community with images of her slender and genetically blessed body. This frustrates the hell out of me!!!!! Our focus is on fitness for mortality nutrition for fuel and for joy. We are working on sharing our work with our international community. Releasing another e book and continuing with our 4 week clean and lean program. Set small achievable goals and be patient and kind to yourself. Find someone in the industry you look up to and trust. There is so much information and people claiming to be experts so you will need to do your research. If you are on a budget it is best to plan your meals in advance. That way you are less tempted to stray and blow it all on takeaway. I do a bulk cook up on a Sunday so I always have something on hand. Soup is so budget friendly and soul soothing plus nourishing and easy to freeze. I also buy meat near use by date and freeze them in portion sizes. We save quite a bit doing that. We have a wonderful recipe for baked beans that are to die for! What is something that you enjoy doing when you have some ‘ me’ time? Oh I do love a long hot bath with epson salts and a good trashy magazine! heat oil in a pot and add the spices and fry for about a minute. then add the butter beans and spring onion and cook for about 2 minutes stirring so the beans don’t burn. then cook on a medium heat for about 20 minutes or until sauce thickens. Eat either warm or store in the fridge. It should keep for about 5 days.